What’s a mere $5 billion these days? That’s the amount Goldman Sachs will have to hand over as part of a tentative settlement with the U.S. Department of Justice and sundry mortgage regulators. The punishment all but wipes out the Wall Street bank’s estimated fourth-quarter profit. More than 10 years after Goldman’s first missteps and more than five since it paid a then eye-popping $550 million to the Securities and Exchange Commission over a collateralized debt obligation, Thursday’s deal ought to finally draw a line under crisis-era penalties. The firm led by Lloyd Blankfein set aside just over $2 billion in the first three quarters of 2015 for litigation and payments to watchdogs. Goldman reckons the settlement, which combines a $2.4 billion penalty, $0.9 billion in cash payments and $1.8 billion in mortgage principal forgiveness and other consumer relief, will cost it another $1.5 billion after tax in the last quarter. Based on analyst estimates compiled by Thomson Reuters, that will leave just a sliver of profit when the bank reports earnings next week. Yet investors essentially shrugged off the news after New York’s regular market hours. Maybe they’ve been steered towards this kind of outcome. Or maybe any residual sticker shock is offset by what seems, at least for now, some kind of end to the long-running mortgage mess – one that’s seen the likes of Bank of America, JPMorgan and Citigroup make analogous, and larger, deals with the DOJ and regulators. Even so, the lack of reaction shows how numb investors have become to banks making large payments for past transgressions. What might have been a nearly 9 percent return on equity for 2015, again using Thomson Reuters estimates, will potentially drop below 7 percent. 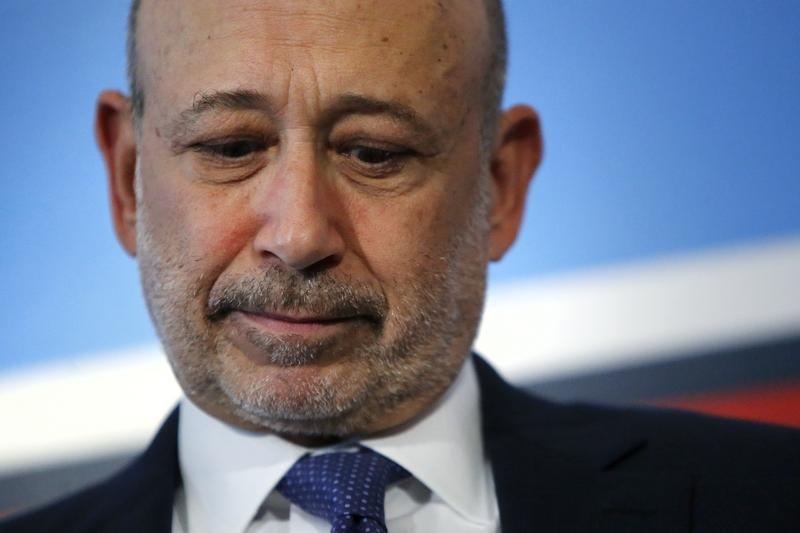 That’s paltry in historical terms for Goldman – though shareholders have become used to that as well. Amid the broader New Year selloff, the bank’s stock has once again dropped below its book value. Perhaps the only silver lining for Blankfein is that even with the crisis slate wiped more or less clean, at least for now, expectations remain pretty low. Goldman Sachs on Jan. 14 said it would pay $5.06 billion to resolve civil claims related to the firm’s securitization, underwriting and sale of residential mortgage-backed securities from 2005 to 2007. The agreement in principle with regulators will reduce earnings for the fourth quarter by about $1.5 billion after tax, Goldman said. The Wall Street bank, which is expected to report fourth-quarter earnings next week, said it will pay a $2.385 billion civil monetary penalty, make $875 million in cash payments, and provide $1.8 billion in consumer relief, such as mortgage principal forgiveness and housing finance. Goldman’s share price was essentially unchanged in after-hours trading.